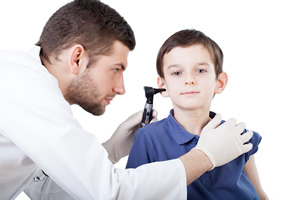 Preparing for otoplasty or ear surgery is not that different from preparing yourself for any other type of surgery. You will receive specific instructions from your surgeon on any lab tests, additional medical exams or other details that need to be completed prior to surgery. Very often certain types of medication must not be taken before surgery and some must be discontinued a week or two prior to surgery. These can include herbal supplements and vitamins. Aspirin regimens and anti-inflammatories are usually stopped several days prior to surgery because they can increase bleeding. Adults are often asked to quit smoking several months prior to surgery because smokers often take longer to heal than other patients. If you have any specific concerns you should address them with your surgeon. Children that are having surgery have parents or other adults to follow the doctor’s instructions, but have other more emotional concerns. A little extra love and attention can go a long way of helping children through the nervous anticipation of surgery. Your surgeon will give you instructions on exactly what to do on the day of surgery. He will also explain what type of anesthesia will be used during your procedure and how long the surgery is expected to take. You will also be given instructions for post-operative care, and when to return for your post-op follow up visit. Your surgery may take place in a hospital, surgical facility or in the doctor’s office surgical center. No matter where your surgery is performed, you should follow your surgeon’s instructions and be sure to have someone available to drive you home following your procedure. That person could also help you by picking up any post-operative prescriptions and making sure you’re comfortably settled to recuperate at home. Your surgeon will give you detailed instructions on everything that you need to do prior to your surgical procedure. Patients need to listen carefully to the instructions and be sure to strictly follow them. Dr. Mark Mitchell Jones of Atlanta Plastic Surgery Associates is a dual board certified surgeon with over 20 years of experience. A first class education and world class training, Dr. Jones has brought his unique combination of aesthetic skill and technical expertise to Atlanta.